Data acquisition (DAQ) is the measurement, recording, analyzing, and presentation of real world phenomena. It includes electrical measurements such as voltage, current, power as well as measurements through sensors and transducers including temperature, pressure, flow, level, strain, acceleration, pH, humidity, and more. Selecting the ideal recorders/data loggers depends on your application. Typical factors include sample rates, channel scalability, signal conditioning, sensor types, analysis capability, mobility, and environmental conditions. Yokogawa recorders/data loggers are recognized for industry leading measurement accuracy, noise tolerance, and build quality. These include most industrial networking protocols, all-in-one architectures, and typically require no programming. Paperless recorders are fully integrated data acquisition and display stations with secure, built-in data storage and network connectivity. The SMART 920 allows you to collect data from your entire site without the high cost of wiring points to remote or unpowered locations. Data loggers record sensor data over longer periods of time for monitoring, testing, and analyzing asset health and performance. Yokogawa data loggers are recognized by industry for superior reliability, noise immunity, measurement accuracy, and ease of use. Strip chart recorders trend electrical or mechanical signals onto paper. Yokogawa chart recorder offer world-class performance and reliability. To measure kS and MS streaming or transient electromechanical signals with triggers, signal conditioning, and simultaneous sampling, use high speed data acquisition. ScopeCorders combine the advantages of an oscilloscope with a DAQ system. Acquire, report, and analyze data from Yokogawa data acquisition and controller products with a range of easy to use and cost-effective software tools. Temperature Uniformity Survey (TUS) is a vital part of the overall equipment performance and validation that ensures the heat treat/vacuum furnace repeatedly and accurately produces the same quality parts with no variance. Based upon the furnace class and its specifications, the equipment must hold uniform temperature across all zones at a specified set point and time-period, according to SAE AMS2750E pyrometry standards. Pasteurization is a process that aims to reduce and destroy the number of viable pathogens/bacteria in the product so that the unwanted pathogen/bacteria does not cause harm to human health. Pasteurization is a critical process in a wide range of products such as: milk, cheese, juice and alcohol. Food and beverage manufacturers must demonstrate and ensure that products undergoing pasteurization meet the strict requirements of international standards so that the product is deemed safe for human consumption. Significant fines and penalties may be imposed if the pasteurization process is not followed. What ethernet port numbers are used by the DX Advanced? MW100; what software do I need for file viewing and network setting configuration? Math channel operation; is it possible to hold the value of a totalizer on a process condition? How many channels can be displayed in a group in a GX and GP data acquisition devices? Is there support for MV1000/MV2000 in National Instruments LabView? Is DAQStandard software compatible with Windows 7 OS? 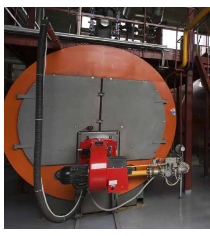 In addition to perfecting your thermal process, some heat treaters may need to meet additional industry requirements such as NADCAP (National Aerospace and Defense Contractors Accreditation Program) and AMS2750E specifications. What is the NADCAP process? Does my existing DAQ and control instrumentation meet AMS2750E specifications? Does my existing field test instruments meet AMS2750E TUS specifications?